During Wayne Purdom’s 44-year career in the refining industry, he has become a recognized leader in applied process safety management, improving business unit performance, personnel selection and development, litigation and emergency response. In the United States and abroad, Mr. Purdom has consistently demonstrated leadership in both normal and abnormal situations, as well as entrepreneurial instincts that have increased business unit safety, efficiency and profitability. Mr. Purdom graduated from the University of Kentucky with a bachelor’s degree in chemical engineering in 1969 and promptly took his first refining job when he joined Humble Oil & Refining Company. For the next 16 years, he learned all aspects of the refining industry through various support engineering, process operations, maintenance and business operations in Baton Rouge, La., and Houston, Texas. In 1985, he became operating services department manager for ExxonMobil Refining and Supply—Baton Rouge. In that role, Mr. Purdom improved profitability by consolidating tankage fleet, led upgrade activities to centralize and modernize oil movements instrumentation and revised or developed several technician, supervisor and leadership courses. In 1989, he went to Kodiak, Alaska to coordinate cleanup of the Exxon Valdez oil spill. The following year, Mr. Purdom moved into the role of cracking and light ends department manager, where he restructured facilities to improve capacity and efficiency and continued to develop managerial candidates during a critical period of growth. 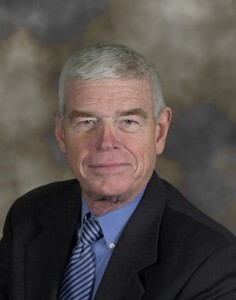 He held this position until 1999 when he led startup work within ExxonMobil for Clean Gasoline Production. This work involved five refineries and an investment of $1 billion. In 2005, he gained international leadership experience when he became technical manager of a joint venture called Saudi Aramco/ExxonMobil (SAMREF) in Yanbu, Saudi Arabia. In addition to developing and managing the capital budget, Mr. Purdom made presentations to the board of directors and devised SAMREF’s Operations Integrity Management System. He also spent time supporting a major project in Qatar before returning to the U.S. in 2007. Returning to the U.S. with the responsibility of operations advisor, Mr. Purdom provided support to Americas Process and Refinery managers in optimization of ongoing operations and in response to abnormal events for the next five years. He co-presented the Process Safety Training program for ExxonMobil staff worldwide and assisted site managers with application. Continuing his prior work with internal startup initiatives, Mr. Purdom aided U.S. refineries by assessing their readiness to implement environmental projects associated with capacity growth. In 2012, Mr. Purdom returned to Saudi Arabia in a brief stint as refinery manager and executive vice president of manufacturing at SAMREF. That year he applied safety process principles to existing SAMREF activities, guided interaction between the refinery and the $2 billion clean fuels project and developed a business plan designed to ensure the future success of the joint venture. He retired at the end of 2012 and founded Assessments, Consulting & Emergency Services, LLC. Mr. Purdom lives in Clinton, La., with his wife, Sandy. They have two sons, Steve and Mike, and two grandsons.